Shopping in shuk (The Market) in Jerusalem is a symphony of sights and sounds. 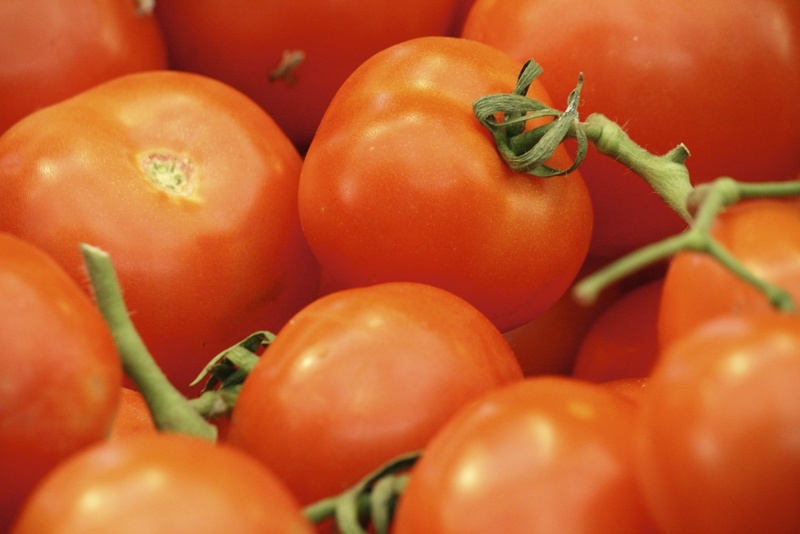 A staple of the Israeli diet, which abounds throughout the shuk, are tomatoes. The cherry tomato was widely cultivated in Central America when the Conquistadores arrived and is thought to be the ancestor of all cultivated tomatoes. The most popular varieties today were developed in the Rehovot Faculty of Agriculture of the Hebrew University of Jerusalem, Israel.